Sifnos: white houses with traditional earthen chimneys and small churches with blue domes, built in green hills leading to sandy beaches. Is one of the most beautiful islands of the Aegean Sea and although it is one of the popular tourist destinations still manages to maintain its authenticity. Sifnos, is an island with beaches that meet all tastes, Apokofto, vathi, Kamares, platis Gialos, the lighthouse, the Cheronnisos is one of the most beautiful beaches of the island. Kamares is the largest coastal village and harbour of Sifnos. Buses depart from the port of Apollonia, the island's capital and other settlements. Guests can be served with taxis in phone 22840-31952.
during the summer season ferry Sifnos is connected with Piraeus and the islands of Milos, daily line with high-speed and conventional ferries. The duration of the trip by conventional ferries is five hours and with the speed of approximately three hours. Also ferry connects with many islands of Cyclades (Paros, Syros, Santorini, Andros, Folegandros, etc. ), as well as with Crete via Milos. During the remainder of the year, the density of itineraries to marine transportation is formed depending on the season. The ferry companies approaching the port of Sifnos from the port of Piraeus is the Aegean Speed Lines with high-speed ferries and Cyclades Ferries with conventional boats. 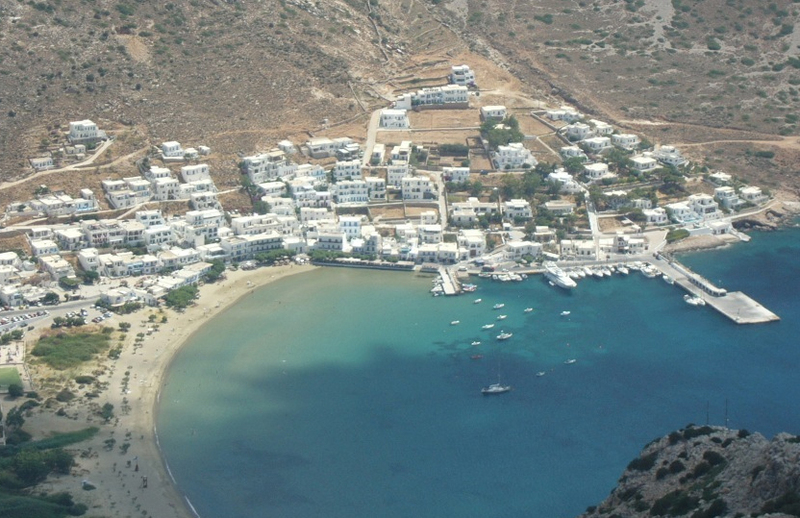 Air Champion24 .com offers ferries to and from Sifnos on all services performed from any port of Greece. You can easily search and choose your ferry route that it serves, easily and instantly. The booking takes place in real time using your credit card or by making a booking with the help of the staff of our Office.